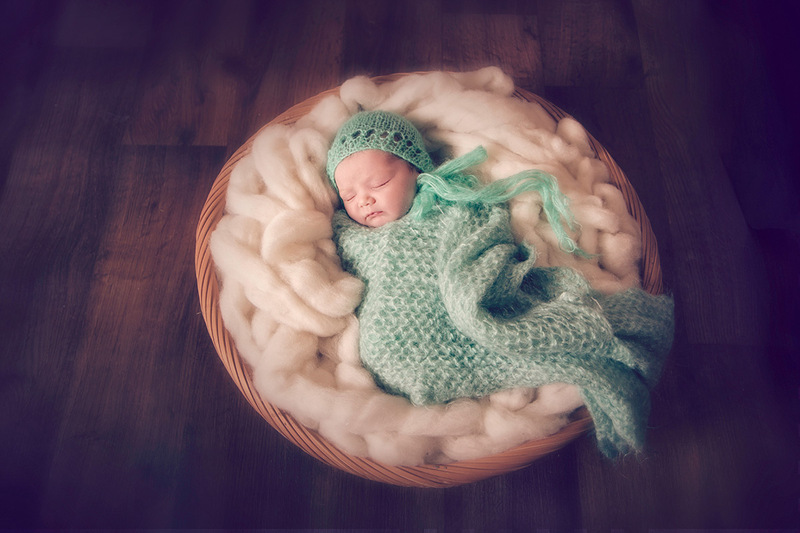 Preparing for your newborn session - Moments In Time Photography, N.Z. So you’re expecting a new little bundle of joy and have some questions about preparing for your newborn session and capturing some of their very special first moments in time? It is best to schedule your newborn session while you are still pregnant, perhaps around 25-35 weeks. During those first few days after baby arrives there’s so much going on that it’s easy for a new mum to feel a little overwhelmed and organizing a photoshoot may just be too much like hard work. Before you know it that days may have turned into weeks and the opportunity to capturing those amazingly special newborn moments in time may have passed. 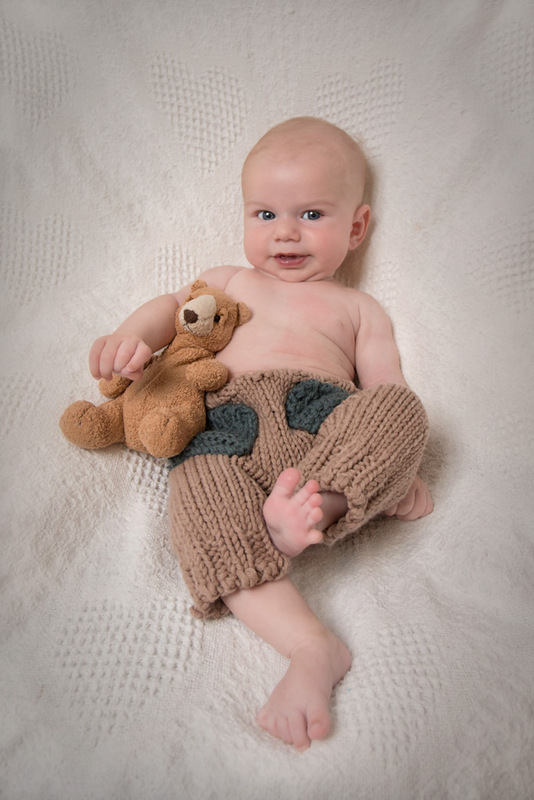 Being well prepared and booking your photographic session well in advance will mean no regrets, you won’t miss out on those beautiful, never to be repeated photographic memories of your newborn – moments in time that you and your family will be able to treasure forever. If your baby has already arrived and you’re one of those amazing supermums looking for a newborn photographer now that’s great! After all, girls can do anything! The newborn sessions are captured in my home studio in Waiotahe, Opotiki in the Bay of Plenty with professional lighting and I supply all the props. If you have some special circumstances and are not able to leave your home do talk to me as I may be able to visit your home – a clear area with good window light would be necessary in this situation. Weather permitting if you’d also like a few outdoor, natural look images these can also be taken at the same location, in my garden. For families and babies (including older babies) I also offer a lifestyle portrait shoot at your home where everyone can relax and just do their thing as I can capture lots of lovely candid and natural images that record a day in your life as a family. What time is best and do I need to do anything? 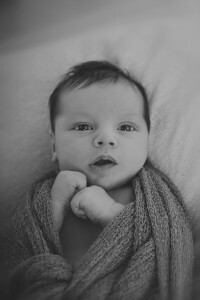 The time of the session really depends on your little one and your schedule but let me know bubba’s sleepiest time and if you’re able to have bubba awake for a couple of hours before you come that really helps with capturing those cute, curled up, sleeping images that really capture the beauty of newborns. A warm bath just before leaving home can also really help bubba to be ready to sleep when he or she arrives but for some babies this dries their skin out so you may prefer to skip this step. What if my baby has very flaky skin? A little flaky skin is quite common on newborns as their tender skin adjusts to the environment but if bubba’s skin is really flaky some parents like to apply a natural product such as coconut or sweet almond oil to soothe and smooth but please do your own research as with any product there is always a risk of allergic reaction. What’s the best age for photographing my newborn? Babies of all ages are wonderful to photograph and it is sometimes possible to get those sleepy, curled up, newborn type images from some babies that are a little older (during those very first few weeks) but generally speaking, for the newborn images that we all love so much, the best time to photography baby is between 5-10 days or 14 days at the latest. Before 5 days bub is usually still figuring out how to feed and can be a little unsettled and during this time they may also be very red or suffer from a little jaundice and around 14 days bub might be getting a little bit of baby acne or suffer from a little colic. What if my baby is older than 14 days and I’d like to book a session? No problem, I love to photograph babies of all ages and every age is so special and unique that we are sure to capture some special moments in time at any age. If you however were hoping for those sleepy, curled up newborn images then you may have missed that opportunity if your baby is older than 14 days. If you can work with me to bring bub in super sleepy I will definitely do my best to capture those images too but don’t worry, whatever age bub is we will capture beautiful unique images of them for you to treasure. If your baby or babies were premature however then I may still be able to capture those newborn images, I will definitely try my hardest is that is what you’re hoping for. If we are able to photograph your premmie(s) within 7 days of arriving home, or around their due date, that is really ideal. If you miss your newborn session within those first two weeks you may want to wait until about the 6 month mark when your little one achieves their next milestone – sitting up! That’s another great age for a photographic session. If you’re interested in capturing all the major milestones of your young one’s first year do check out our ‘1st Year Annual Plan‘ which is paid by small weekly instalments and includes a complimentary family shoot. As mentioned above, for older babies I also offer a lifestyle photographic session at your home where we can capture just your little one in their own home environment or I do recommend the whole family being involved so that I can capture lots of candid and beautifully natural family images that you will enjoy for years to come. Don’t worry, babies come when they’re ready or sometimes our newborns need a little extra care in hospital before they’re ready to come home so I do my best to keep a fairly flexible schedule. Although we make a tentative date for your booking we really let bub run the show and have their session whenever they have arrived happily and healthily at home. Just be relaxed. Babies pick up on the stress levels of their mums so try not to be anxious and don’t worry before or during the session. 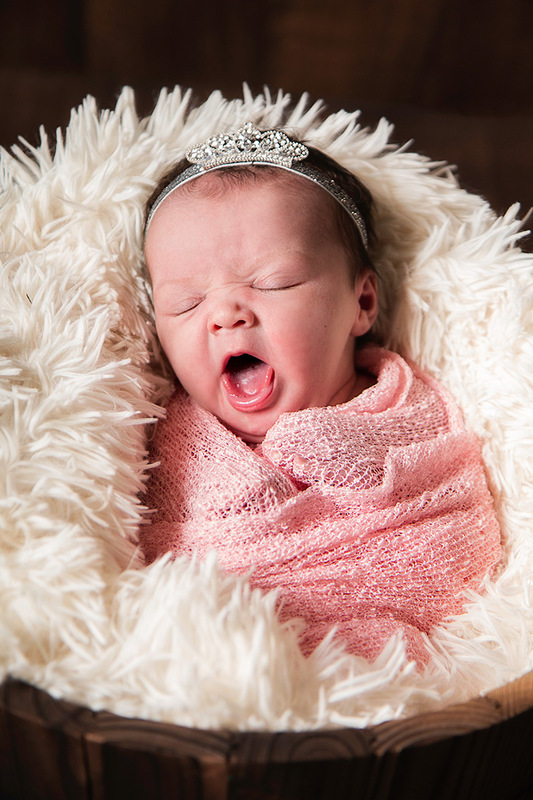 Crying, weeing and pooing are all regular parts of newborn photography sessions we’re used to it and there’s nothing to be embarrassed about that’s for sure! Also, it takes time to get a newborn to sleep so just relax and enjoy the time out to have a little time to yourself. I allow lots of time for feeding and cuddles and the session is very informal and relaxed so don’t stress! It’ll be fun. As I mentioned above, before the session I do ask that parents try keep their newborn awake and interact with them as much as possible for a couple of hours before they arrive as it can really make such a big difference for the session. Timing things so that the baby is ready for a feed when you arrive at the studio is the perfect scenario but as this is not a perfect world don’t worry stress if it doesn’t happen exactly like that. If you need ideas on how to keep bub awake for a couple of hours before you arrive, a bath may help as the little one can kick around and use all their extra energy up and the added bonus is that their hair (if they have any) will be all cute and fluffy for their session. Try to avoid tight clothing that will leave marks on the baby’s skin, a nappy and a onesie is often the best option. Bring spare nappies and wipes, plenty of milk and a blanket to keep baby warm between shots although I do heat our studio up so it’s nice and warm for bub (bear this in mind when you decide what to wear too). Also feel free to bring a support person, perhaps your husband if you’d like some images with you both and your newborn, or a friend to keep you company. ‘A pacifier’ aka a dummy – if your baby uses a pacifier then definitely bring one but even if they don’t it’s often a great idea to bring one as it often settles bub between shots and helps you get the most out of your session. Do I need to be in the photographs? Everyone likes to look their best when having their photo taken so I completely understand if you’re thinking that it would be too early after giving birth to have your photo taken. I can totally relate but … do please at least consider it. 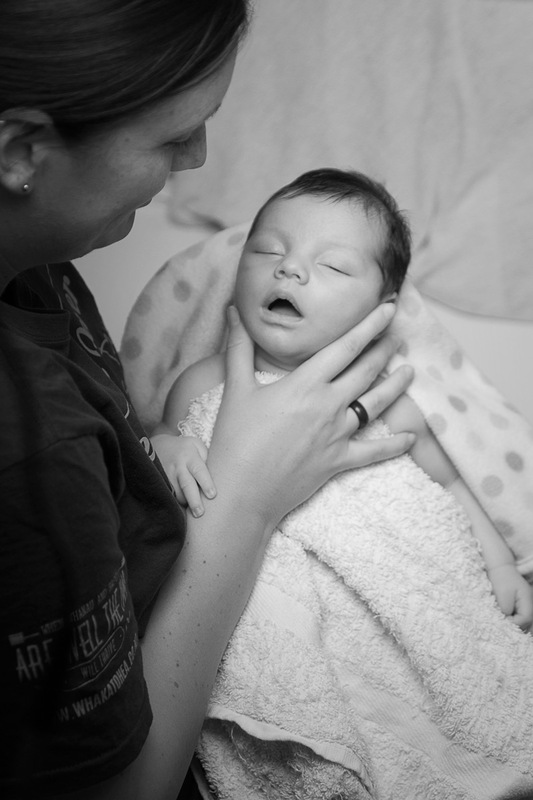 Those special images of you (and your husband if present) interacting with your newborn are so amazing and you may regret not having any professional images of you and your newest family member. Don’t forget, as a professional, my job is not just to capture the amazing emotion of the moment but to also make you look your best – I will help you with the most flattering posing and I also have the wonders of photoshop at my disposal so trust me – you will look amazing! If you’re still not sure, why not come wearing outfit that you like and perhaps a little makeup and then if you decide to have a few shots you will be feeling great! After all it’s amazing how with the passing of time we look back on photographs that we weren’t sure about at the time but now we think, hey I was looking pretty good back then! What about older children, can they be in the photos? Of course! It takes a little more organizing but it’s definitely worth the effort, I suggest that the sibling come just for the first pr last part of the session (20 mins or so) to have their photos taken as it can be very tiring for other little ones to have to wait around for a couple of hours while the newborn is photographed. Ask me about our package add-on for siblings (only $89 extra). 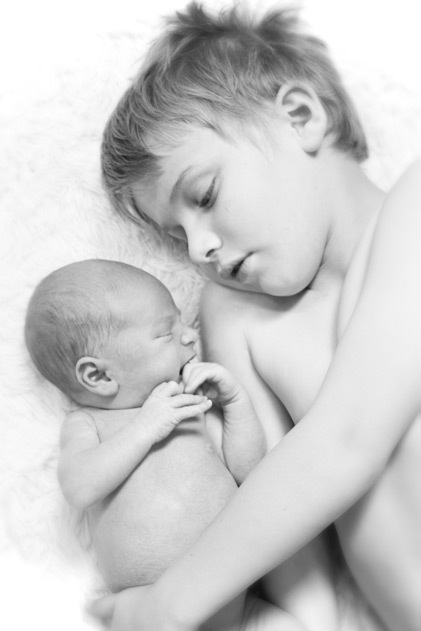 One of the favourite images that I have of my children when they were little is my twin boys at two gently holding their new little sister a few days after she was born. Our other children may seem so big when our newborn arrives but they all change so quickly an they’re probably still quite wee themselves so it’s wonderful to be able to capture those special moments in time. Do I need to bring any props with me? 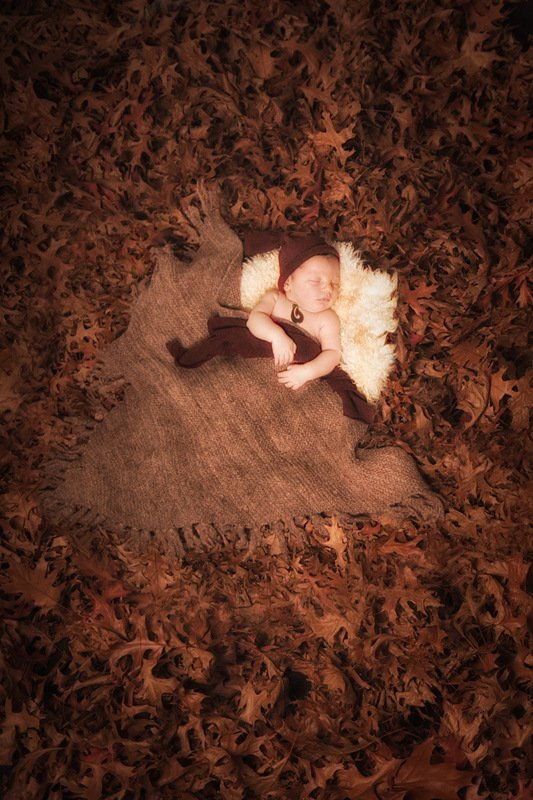 Unless you have a special heirloom or something with lots of sentimental value that you would like me to include in some of your images I supply all that we will need for your newborn session. 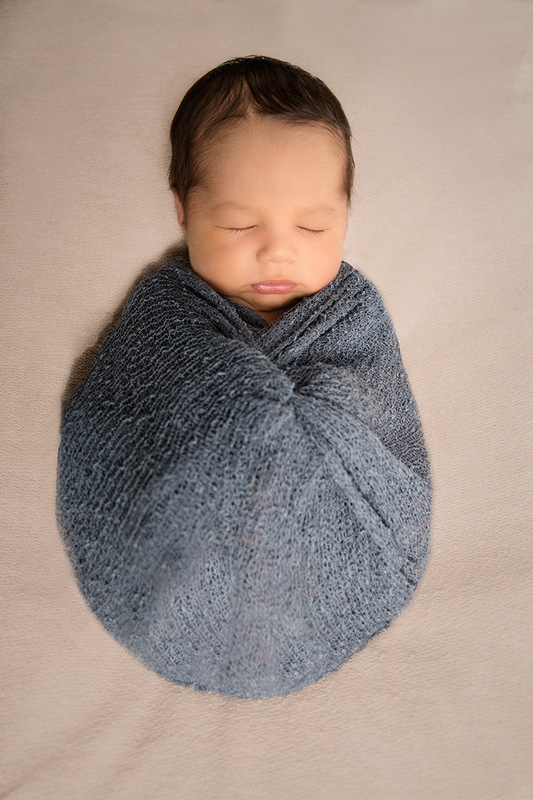 Many of the images will be simple and natural as that allows the perfectness of your newborn to shine through but I also have plenty of blankets, wraps, headbands, hats, buckets, baskets, boxes, nests and more! Depending on my workload I aim to have your photos all hand edited and ready within 1-2 weeks and I often have a sneak peek available online for you within a few days of the shoot. If your package does not include all of your images I provide you with a password protected online gallery on my website so that we can get together online (or you can visit my studio) for your ordering session. All who need to be involved in the ordering process should be present at the ordering session where digital files, prints, canvases and other products can be ordered (payment by instalments is available). Once payment has been made I am happy to change the gallery to public so that you can share it with friends and family. If you’d love to share your images with everyone I’m also happy to set you up with your very own album on my facebook page and let me know if you’d like me to design you a cover photo for your facebook page too! Can I print the photos that I receive on my disc/USB? Yes that’s the idea. The image files that you purchase are high resolution and carry no watermark, you are free to print these photographs for personal use only. If however you are printing your images anything larger than 8×12 I would recommend ordering your prints through me as I can not guarantee print quality if printed elsewhere. I am also happy to organize smaller prints and canvases or albums at very competitive rates – just ask me for a quote. If you have any other questions, please don’t hesitate to contact me, Marie-Claire @ fotographer.nz@gmail.com.